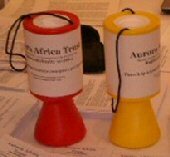 Aurora Africa Trust is a UK-based charitable organisation that seeks to help disadvantaged young people in the country of Angola get education as a way out of poverty. Through practical assistance, specifically by supporting the Angola School Project we are eager to play a part in helping new generations of Angolans get the education	they need to become valuable	and responsible adults who will contribute to their	welfare and that of their country. We are a group of people coming from different backgrounds and geographic horizons but united around a common goal: To ensure that the long suffering Angolan youngsters get the best start in life they need and deserve. Our organisation is administered by a Board of Trustees of five members. Three of our numbers are Angolans based in the UK with extensive contacts in Angola. We recognise that every individual needs to be valued and respected. This is what we seek and promote in our project. We do not claim to know or to be able to do it all on our own. We strive to work with all who pursue similar goals. We seek to be accountable to all who support us as well as those we serve.